Some wait in the rain, others get wet. This short film by Alkaline Productions won best Soundtrack at the Warwick Shootout Gala in 2008. Brandon Miranda, a senior double major in political science and Catholic studies, was voted the recipient of the 2014 Tommie Award. The Tommie Award is presented each spring semester to a University of St. Thomas senior who, according to St. Thomas students, faculty and staff, best represents the ideals of St. Thomas Aquinas through scholarship, leaderships and campus involvement. 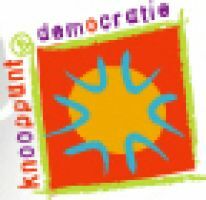 Deze lessenreeks kan gebruikt worden als voorbereiding of als naverwerking bij de animatie Democracity om de democratie, scheiding der machten en federalisering duidelijk te maken. Teach your children from home andlearn about how to begin homeschooling in this video from an experienced teacher and education curriculum expert.